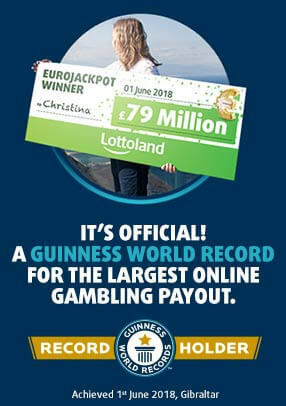 With this scratchcard, you have a double chance to win a prize! 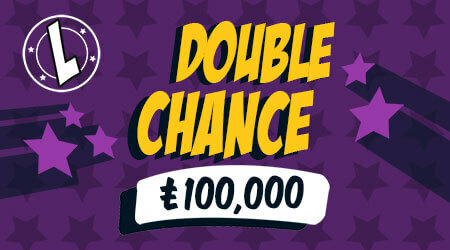 By matching 3 identical cash value symbols in the main scratch box, you could be scooping up the top prize of £100k! You also have another chance of winning one of the available prizes by uncovering the extra scratch area! Double chance for just £5 a game! Return to player rated at 50%.